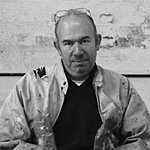 Mark Godwin studied at the Central School of Art and at the Royal College of Art. 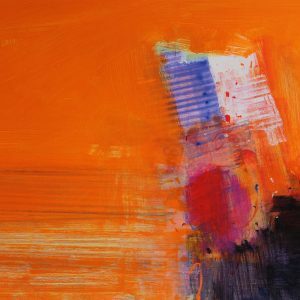 He later had a three month scholarship with the Cite Internationale des Artistes in Paris. 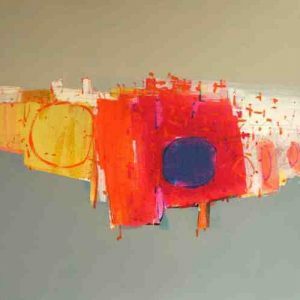 From 1982-1985 he worked as a copperplate printer and plate maker, as well as being a visiting lecturer at Stourbridge College of Art. 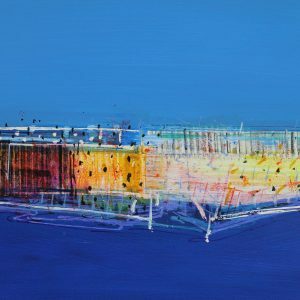 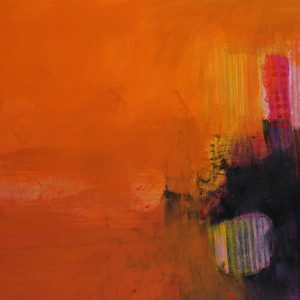 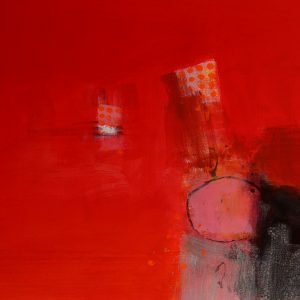 Since 1985 Mark has concentrated on his own paintings and graphics, and has exhibited extensively in the UK and abroad. 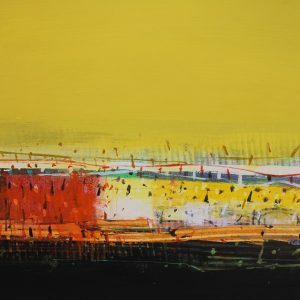 His works are held in both private and corporate collections. 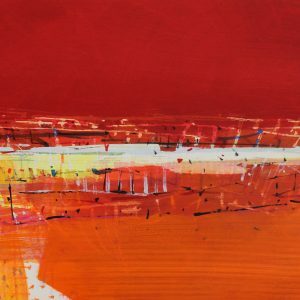 ‘Although my Paintings and Prints are all based upon the general theme of landscape they are not concerned with natural representation, or location, or even specific moments in time. 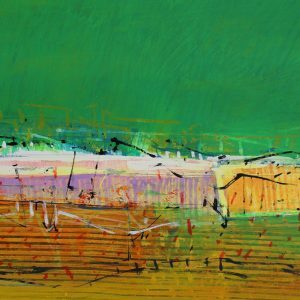 I am interested in how form and colour, and markmaking can suggest the idea, and the experience of landscape not in imitation, but rather by evocation. 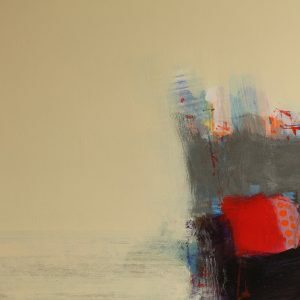 I have tried to create within my pictures, a composition and structure that has a multiplicity of associations’.